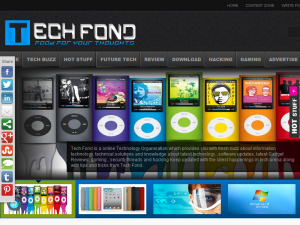 Tech Fond is a online Technology Organisation which provides you with fresh buzz about information technology, technical solutions and knowledge about latest technology...software updates, latest Gadget Reviews, gaming , security threads and hacking Keep updated with the latest happenings in tech arena along with tips and tricks from Tech Fond. This what your Tech Fond Blog Ad will look like to visitors! Of course you will want to use keywords and ad targeting to get the most out of your ad campaign! So purchase an ad space today before there all gone! Challenges Mobile App Startups come across after a Successful App Launch? How To Prevent Cloud Storage From Hacking? If you are the owner of Tech Fond, or someone who enjoys this blog why not upgrade it to a Featured Listing or Permanent Listing?